To protect the elderly and children, or to manage domestic working schedule at home, install the CCTV system to know the home state instantly and prevent thieves invasion. Here we will outline how residents from the office or elsewhere in case of remote monitoring of home. - Decide the location that need to install CCTV / burglar alarm. In this example is living room, bedroom, entrance, driveway, garage and courtyard. 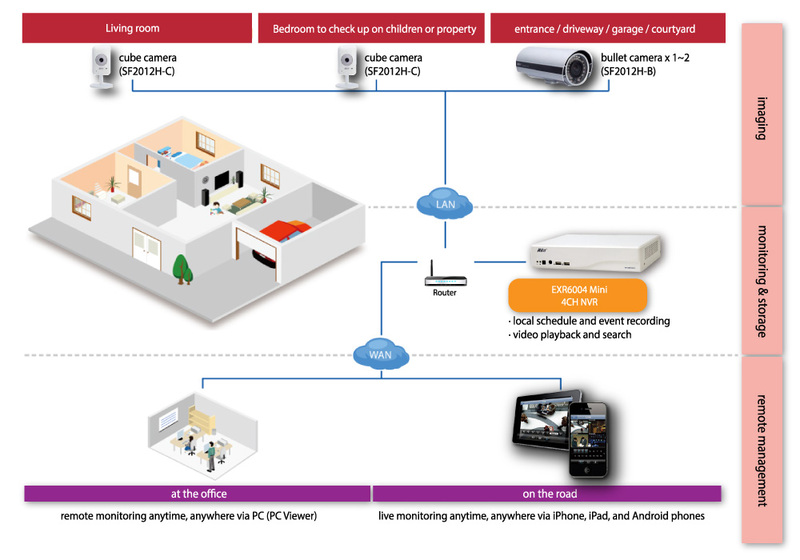 - Computer and network monitoring and storage of CCTV images of the film is set up at home. - After setting up th device, the home instant can be view. - You can also view the images through mobile devices such as a licensed mobile phones or laptop computers.